Registration for our summer 2013 CSA program is now open. 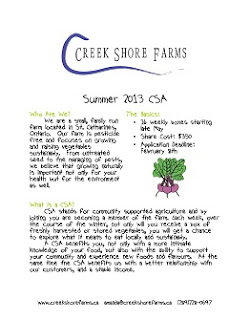 Please click the image above or visit www.creekshorefarms.ca/summer2013.pdf for more information and to register. While the deadline is April 1st, space is extremely limited so register soon to hold your spot.